What color will these two be? 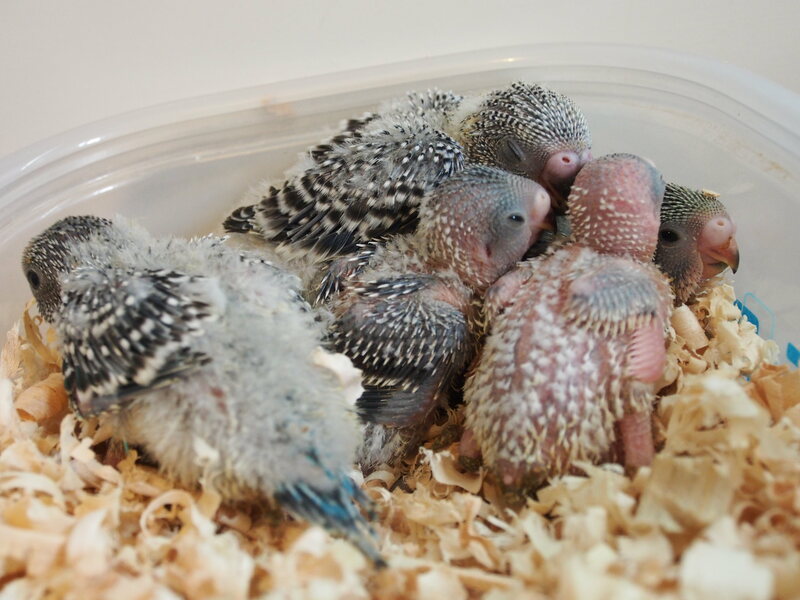 Not my budgies (yet). What color mutation do you think these two are, cause I can’t see any color except for grey and white? No Flock. No Flight. No Fair! It's kind of hard to tell at this age, since they mostly just have their down feathers in. Both look like they'll be white based. The one on the right looks like it could potentially be a yellowface/goldenface but the picture is a little blurry. Do you have any pictures of the parents? You'll start to see the first hints of body color come in on the tail and upper chest. Every color starts out looking gray in my opinion They could very well turn out to be blue or indeed be gray, but time will tell. I've attached a picture of my clutch below for some guidance. The chick on the left is starting to show some blue above the tail- that's where you want to look! 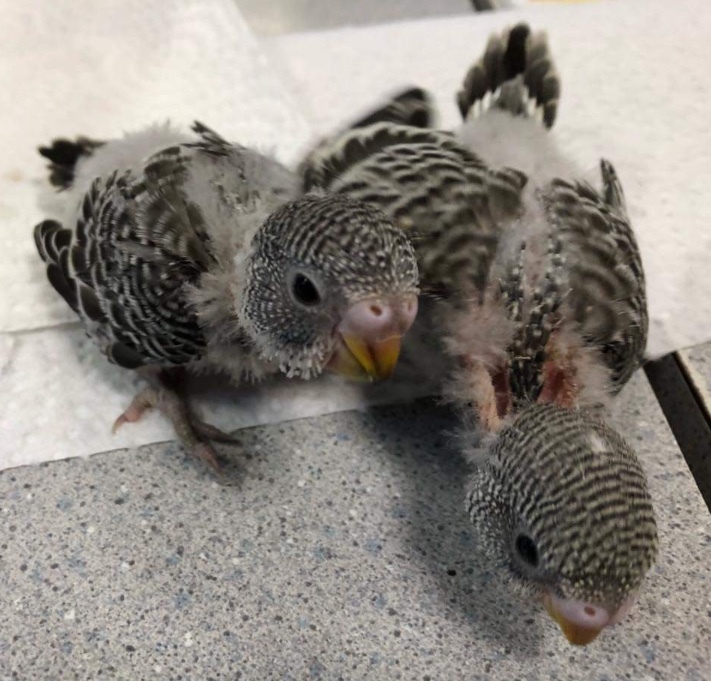 Two have hints of yellow, which will develop into a goldenface (compare with the chick you posted about on the right). You can see most of them do look quite gray, but they will all, in fact, be blue! I also can see a yellow tint to the feathers on one of their foreheads, so it may be a yellow face. Otherwise they both look like they will be grey normals. You can see the black tail feathers coming out. Thank you Katie and Toni. No, I don’t know how their parents look like. Yellowface grey would be a nice color.